Description: Add striking minimalist style to your decor with this Cilindro Chic fixture which features a stunning Timeless Bronze finished shade with a Nickel powder coated canopy that will add character and intrigue to a residential, hospitality or commercial environment. 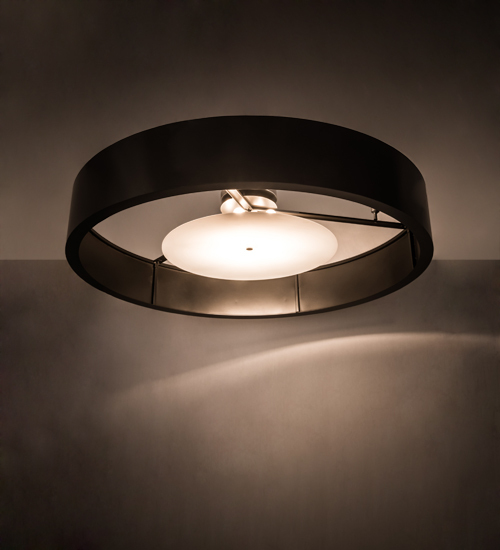 The cylindrical shaped fixture is complemented with a Statuario Idalight diffuser. Custom crafted in the USA, this pendant is available in custom sizes, styles and finishes, as well as dimmable energy efficient lamping options. The grandiose 72-inch wide fixture is UL and cUL listed for dry and damp locations.